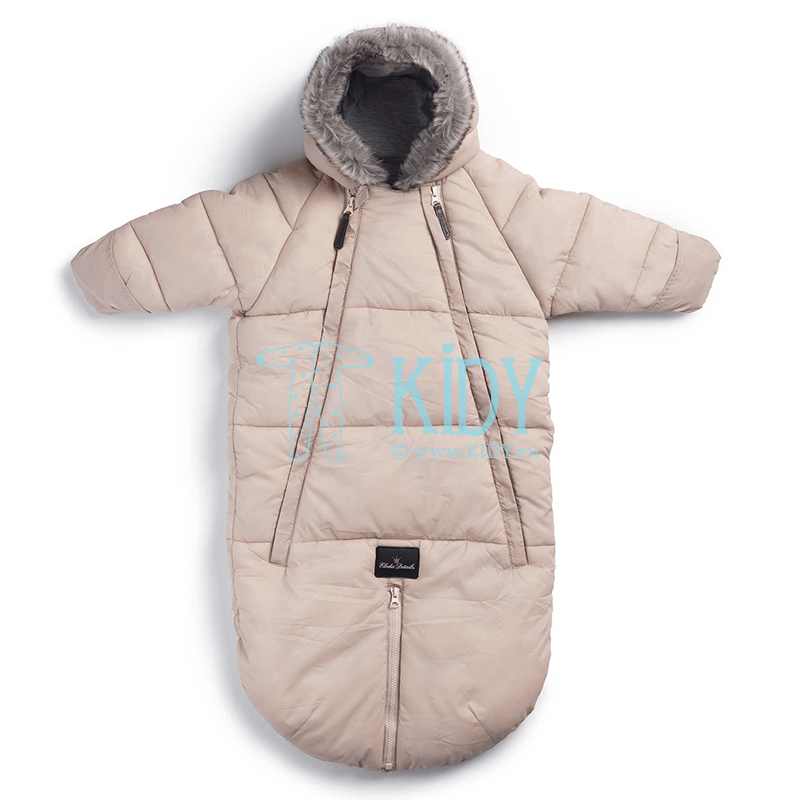 How to choose children's receiving blanket that can also be used for walks? The happiest moment of the woman's life, the birth due day, is approaching. The first thing a new mum should consider is fancy outfit for the going-home day. 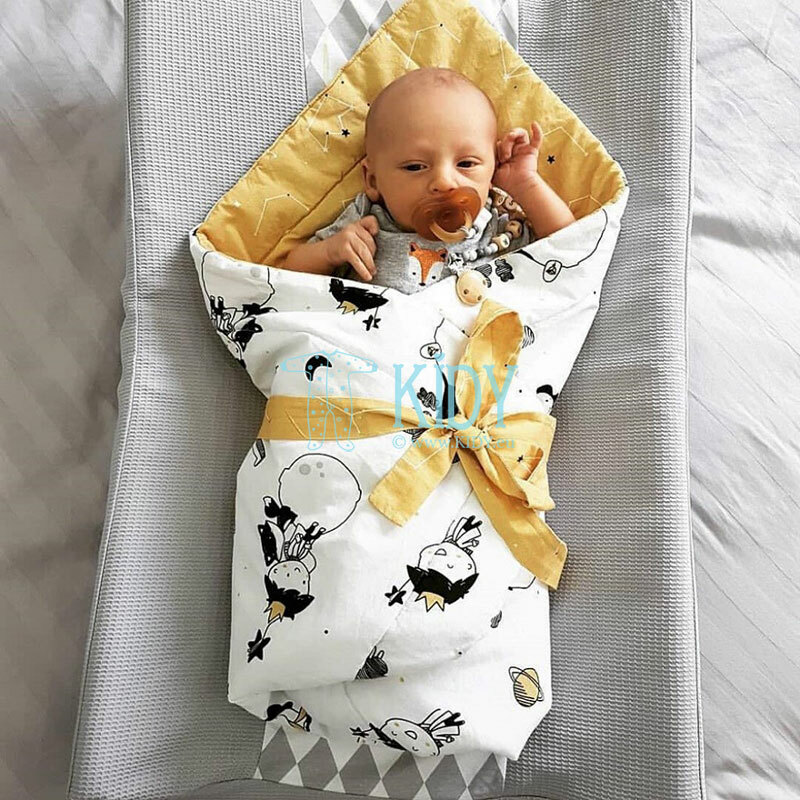 Many parents mistakenly find a receiving blanket for newborn to be a useless invention hence the doubts whether the item is worth buying and whether this clothing will come in handy after getting home. Why do I need the one? Regular blankets originally preceded receiving ones. Children were wrapped into a lacy cover and brought home. Bulky blanket and constant swaddling make the process too complicated. Lightweight, practical, and lovely receiving wraps for newborns came instead of regular cotton blankets. 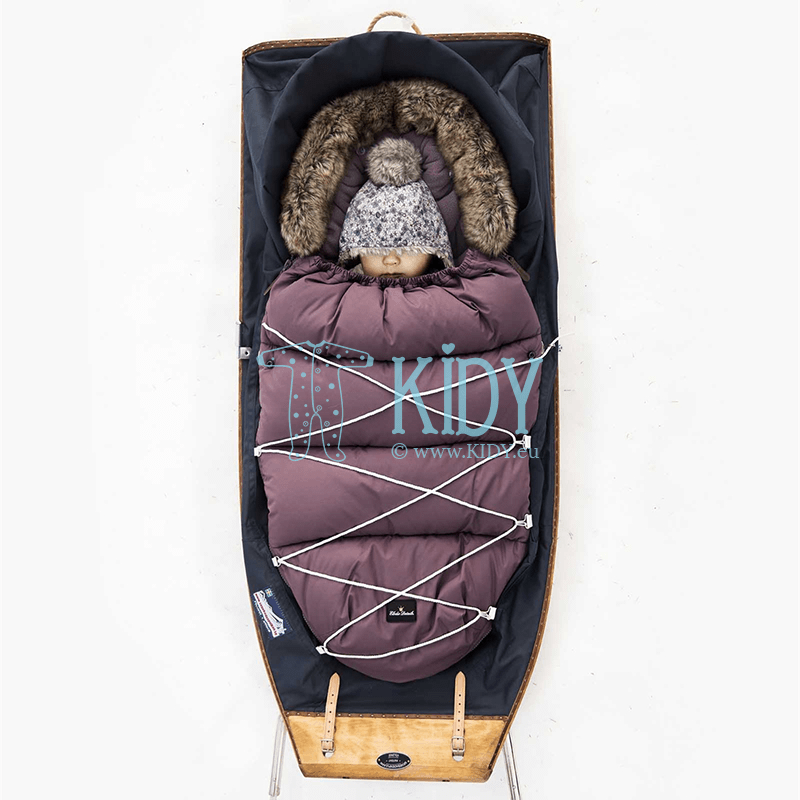 Act as a warm cocoon into a stroller for the first outings, making it very easy to get the sleeping baby from the stroller and into the crib without waking him up. 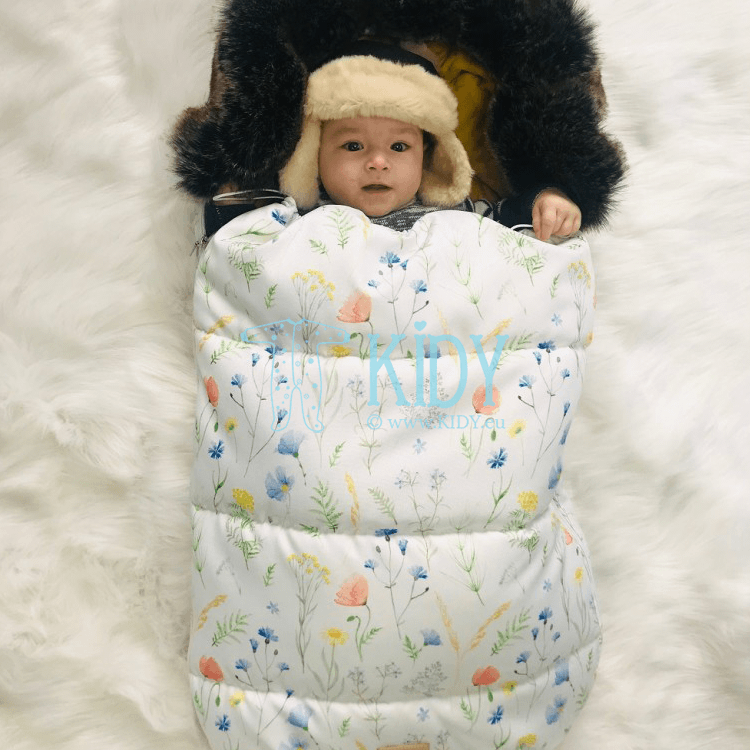 Transforming receiving blanket for newborn can subsequently change into a blanket or jumpsuit when the baby gets older. It perfectly replaces warm overall when going for a walk in autumn-spring days. 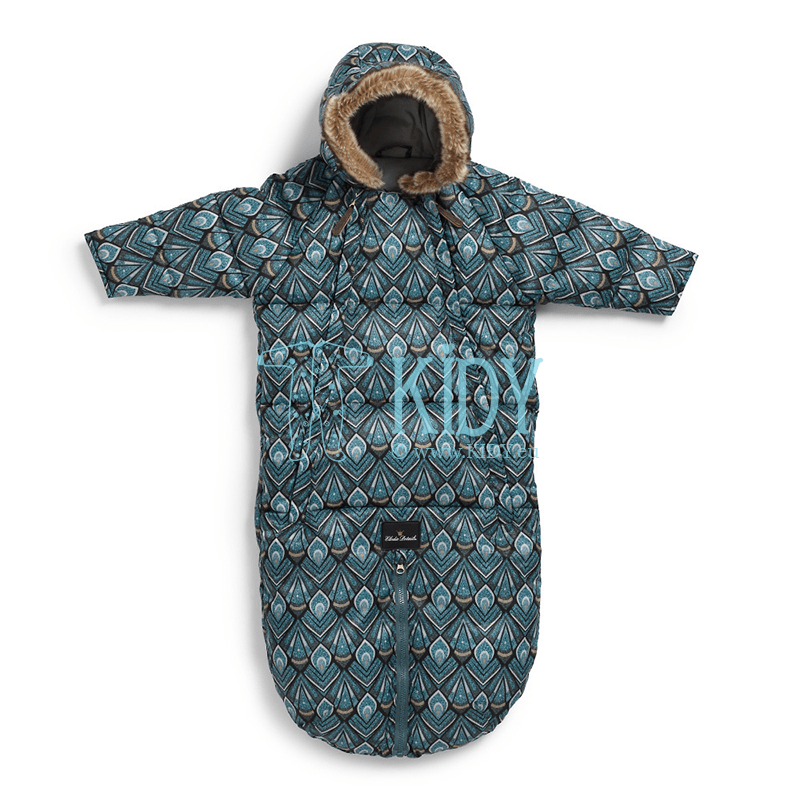 This is especially handy in the spring when the sun is warming the stroller. If your baby gets suddenly hot you can unzip the blanket and pull out child’s arms, without any disturbance for his sleep. With a true overall on, such actions are more complicated. Hooded newborn wrap is much comfortable as compared to a regular blanket that is also heavier. A regular blanket can slide aside exposing those bare little feet or open up a slot for an icy gust of wind. In addition, jumpsuits as well as blankets shackle body movements making a lot of babies unhappy and thus weeping. Receiving blanket provides more room so baby feels comfortable. 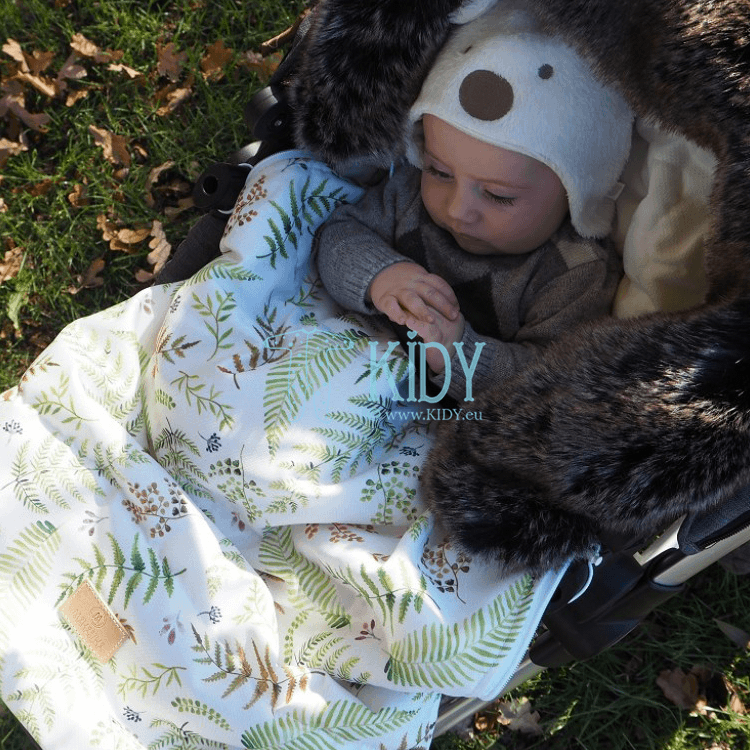 The modern market is replete with a huge selection of baby products, receiving blankets are not an exception. Receiving bag for newborns: ties, velcro, or buttons are used to do the wrap. Goes both in oval and rectangular shapes. Transformer asks for easy steps to turn it into a blanket, jumpsuit, mat, or case for walks (depends on the model). Newborn envelope blanket. When spread the model looks like a standard cover. When used for swaddling it is secured with a button. 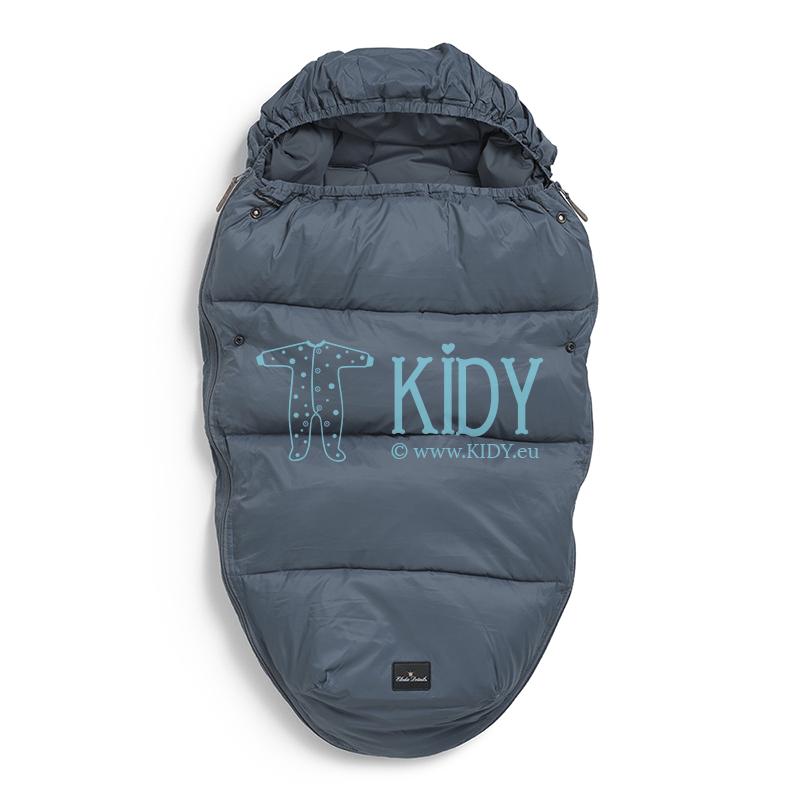 Jumpsuit-like sleep sack for newborns features sleeves at the top and a bag for kid's feet at the bottom. This type of outfit is suitable for children over six months, as children of the age are delighted to grab thing with their hands. 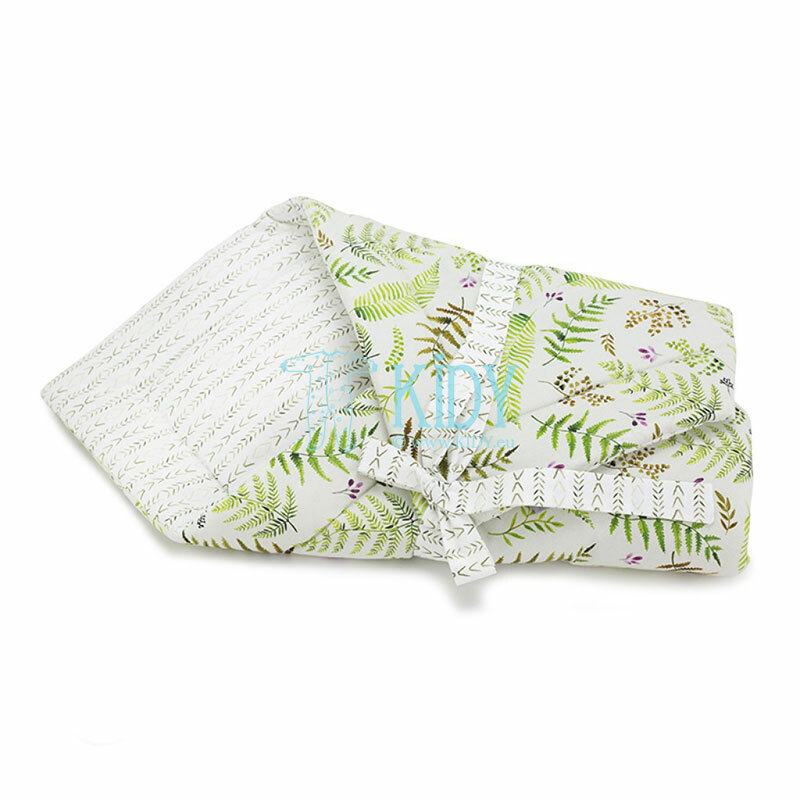 Zipper envelope blanket for newborns features a harder bottom; it is a rectangular-shaped item with a dense mat inside to keep baby’s back in place. Egg-shaped wrap for newborns is oval. It can be a transformer or just a wrap. It densely covers baby’s body, acting as a full-fledged outerwear rather than blanket. Car seat wrap blankets for newborns feature purpose holes for seat belts. If parents plan to drive their baby home, they are required to take care of his security and buy the item to have the baby safely kept in a car seat. Baby wrap blanket for a newborn is a transformer that, thanks to the clasps, can easily function as two items. Comfort of the little one depends on how warm is baby wrap blanket for newborns. While choosing the product carefully, please note quality lining make products durable, practical, lightweight, and hypoallergenic. Padding polyester. 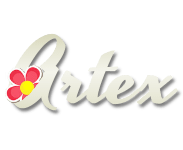 The most popular type of insulation, as polyester clothing costs less and does not require special care. This baby wrap tolerates frequent machine wash with no damage to item shape. The type may also include hollowfiber. Thinsulate (artificial swansdown) is a warm filler, originally produced for astronauts special clothes. This insulation will warm up whatever the winter. Down (duck, goose). Retains heat well and has little weight, these are the only benefits of this filler. Otherwise, no machine wash (due to the fact that down gets lumpy) and allergy possibility are worth mentioning. Down filled baby wrap for newborns can be possibly bought only if the child is not allergic to it and fabric is tight enough to keep feathers inside (not the case for cheap low quality products). Bamboo filler is environmentally friendly, lightweight, and elastic. 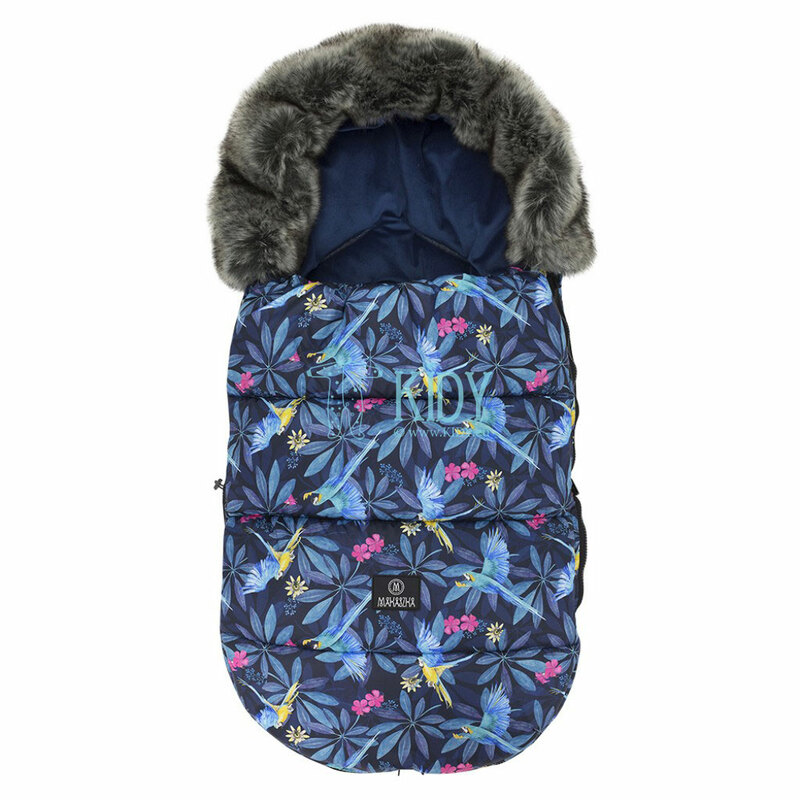 Fur baby wrap for newborns is the best filler in winter time. The product is sewn from whole animal fur jackets, so there are no doubts concerning its warmth. 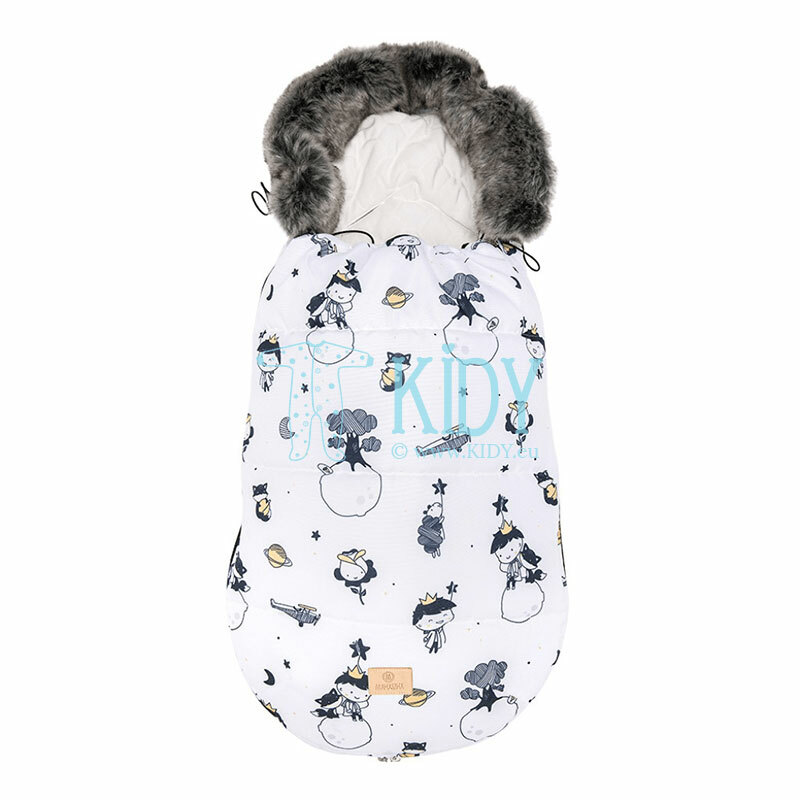 Winter sheepskin wraps for babies retain heat well, with no overheating. Winter. 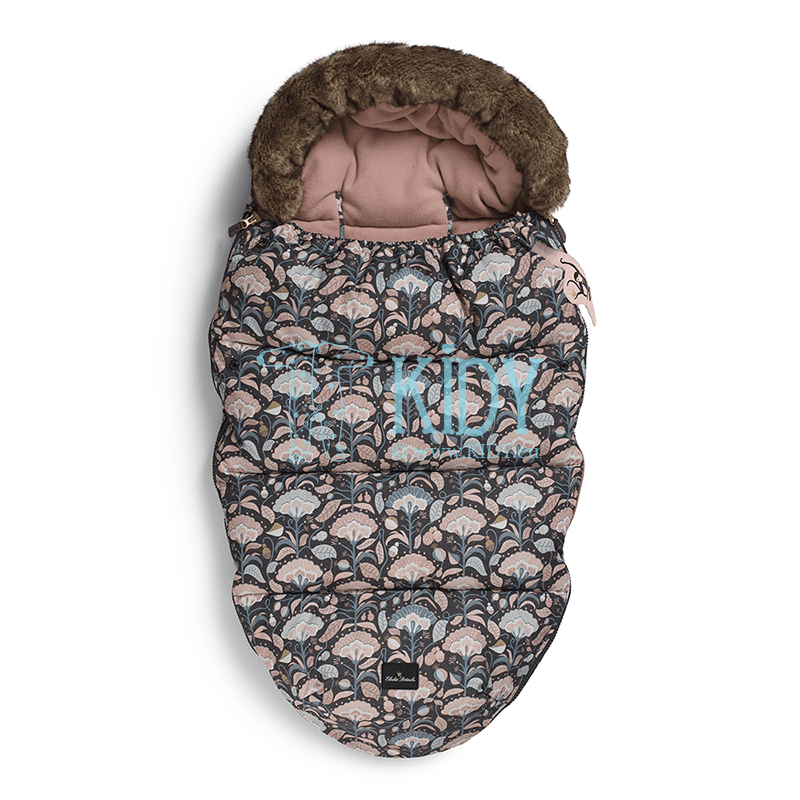 A sheepskin lined baby wrap for newborn would be your best bet for winter. Polyester, thinsulate, or hollowfiber will do for a filler. Newborn spring autumn baby wraps are better when featuring polyester filler. This is especially true with the end of winter and early spring. When it gets warmer outside, kid gets hot having winter sheepskin wrap on. Spring receiving blankets (for outings) for newborns can feature bamboo insulation. Especially suitable for mid spring. Newborn summer baby wrap should feature the most breathable fabric (velour, cotton, bamboo). When buying products for babies high quality plays an important role. A proven manufacturer, who cares about its name and well-being of its customers, always produces goods that meet quality certificates. New mums trust such brands the most precious: comfort and health of their babies. 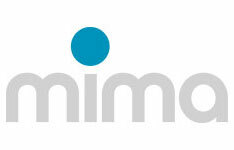 Lessie by Reima (Finland): transforming jumpsuits can be turned into a wrap with just a zipper. A perfect budget option: when baby gets older, the wrap will transform into a jumpsuit. 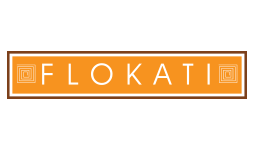 Flokati (Lithuania) offers fur and wool high quality wraps. Lorita (Lithuania) presents cotton receiving blankets suitable for outings. 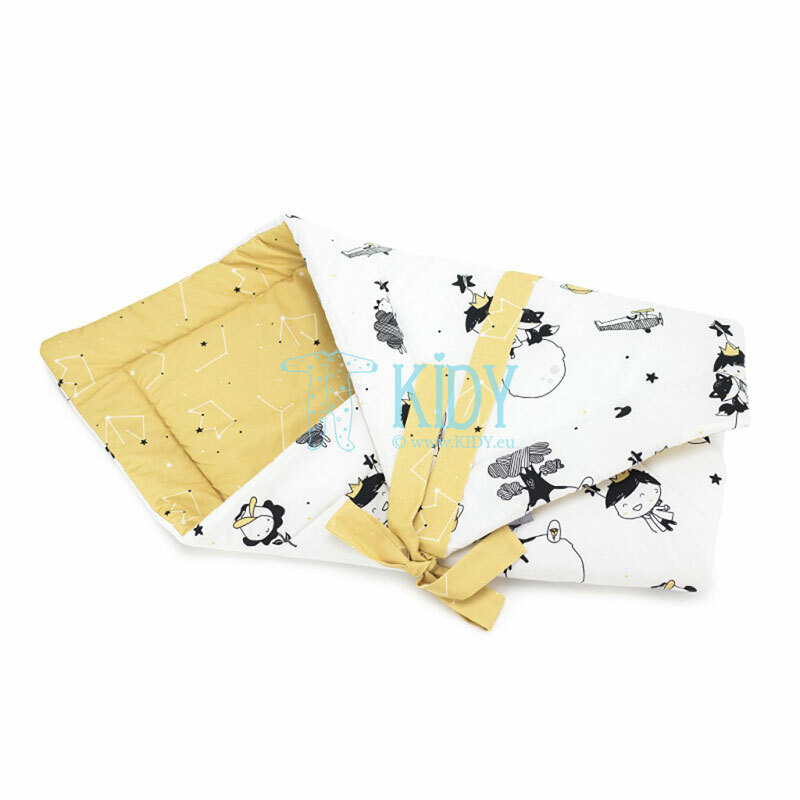 You can order newborn receiving blanket at relatively low price in our online shop. 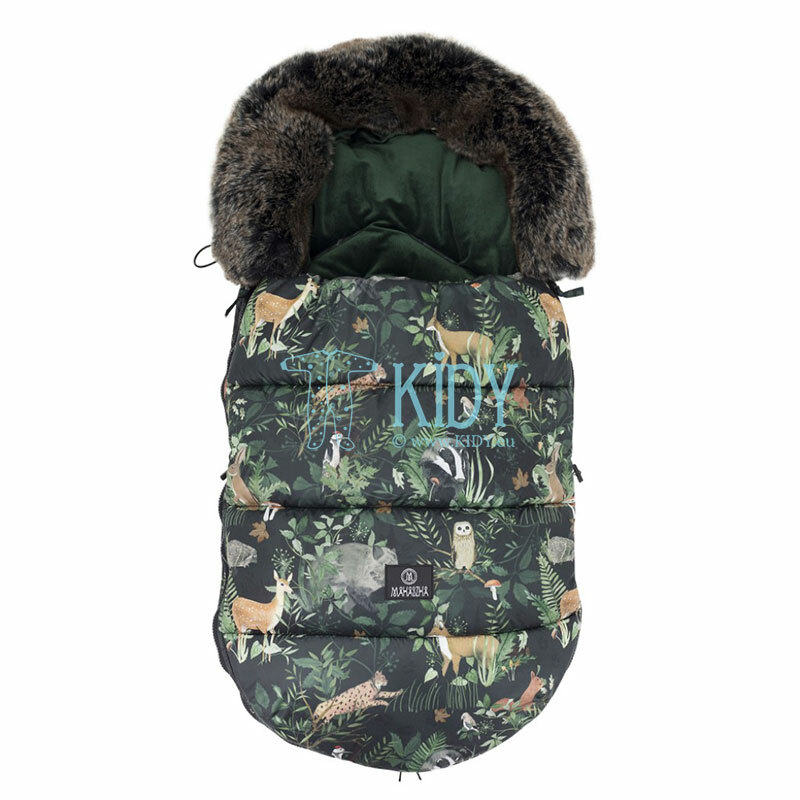 You don't have to overpay for the goods, since Kidy has direct cooperation with manufacturers of children's clothing, and, therefore, no markups from promotion men. We provide fast shipping worldwide. 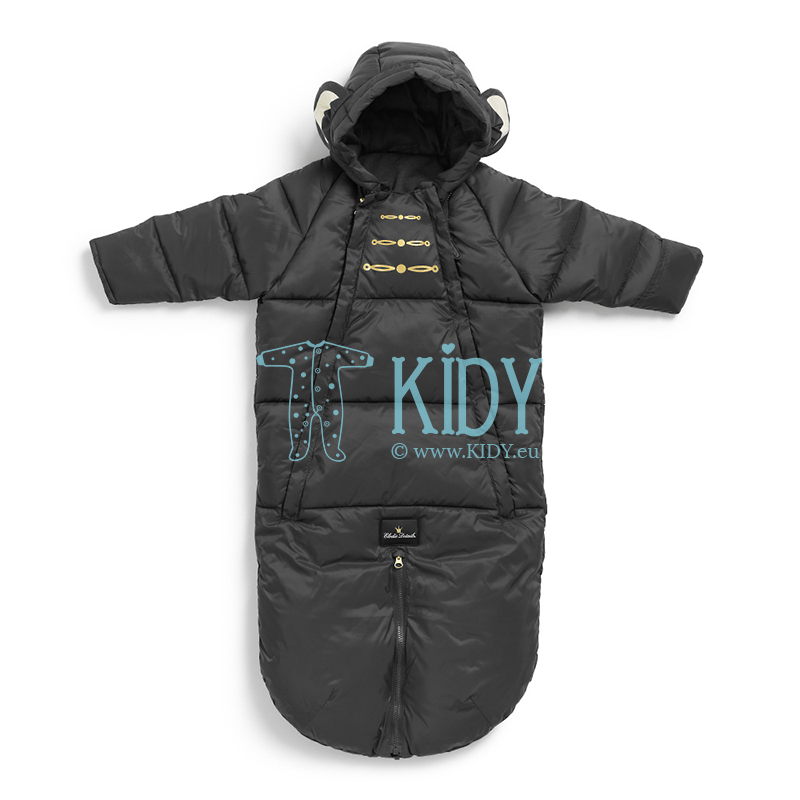 Welcome to Kidy children's brand clothing store.